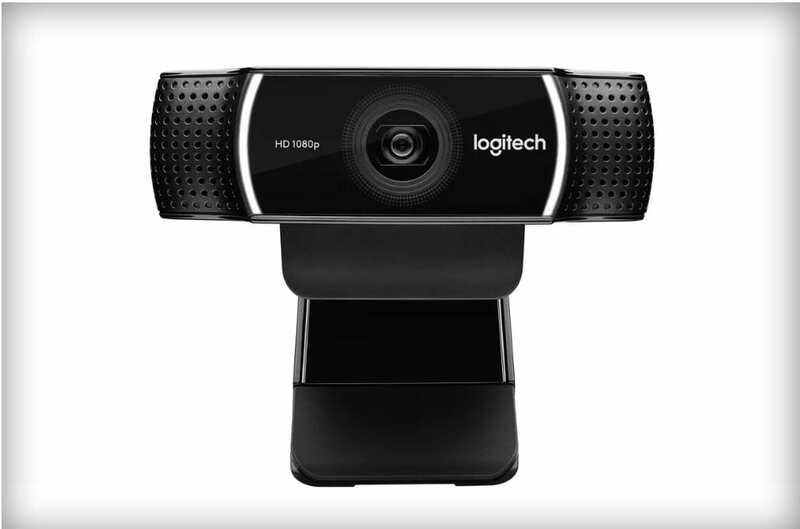 Video is more pervasive than ever before, yet webcam leader Logitech hasn’t introduced a new webcam since 2012. That changes today with the new Loigtech C922 Pro Stream Webcam. Like the C920 before it, The new camera is also a USB HD camera. The C922 which records 1080p or 720p at 60fps video. Logitech claims the C922 offers offers improved low-light performance too. The key difference is this camera has the ability to distinguish foreground from background. I assumed this was a result of two lenses (for depth perception), but it’s actually done in software. The camera is initially targeted at gamers, and it comes bundled with a gamer necessary three-month XSplit Premium license. The camera was announced at Twitchcon San Diego. The reason gamers like this is because they often stream their gameplay in the background. Games are fun, but there’s applicability to business too. Being able to distinguish foreground from background is a powerful capability. At a minimum it allows one to blur the background. More importantly it effectively creates green screen capabilities without the green screen. It enables screen sharing of all kinds of content in the background – we all get to be newscasters. I came across this technology in 2012 when we accepted Nuvixa in the Innovation Showcase at Enterprise Connect. Nuvixa was using 3D cameras – effectively a webcam with a Kinect sensor to distinguish foreground from background. I loved the technology and did several videos usually with PowerPoint slides behind me. Nuvixa ended up getting acquired by Personify later in 2012. That’s when I lost track of them – and the Kinect in general. The C922’s magical green screen effect in implemented in software with “intelligent shape recognition” technology from Personify. The Nuvixa tech has evolved as the C922 does not have a Kinect sensor or a second lens. I think they are using a form of visual motion detection to determine what’s in fore and what’s not. I am very interested in both the mechanics and getting my hands on this camera. I suspect Logitech is just starting with gamers, and will expand its marketing efforts to enterprise users as well. Logitech is launching the C922 at $99, the same price as the “outgoing” C920.